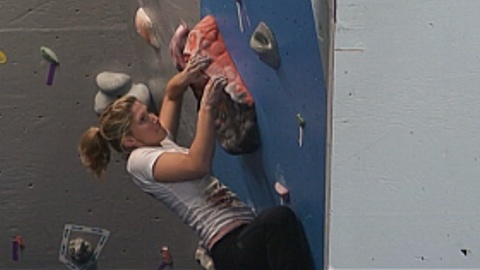 Check out scenes from the 2008 ABS Nationals bouldering competitions along with music from Storytyme. This entry was posted by JVonD on February 16, 2008 at 4:20 pm, and is filed under Bouldering, Business, Climbing, Food and Beverage, Interview, Live Music. Follow any responses to this post through RSS 2.0. Both comments and pings are currently closed.